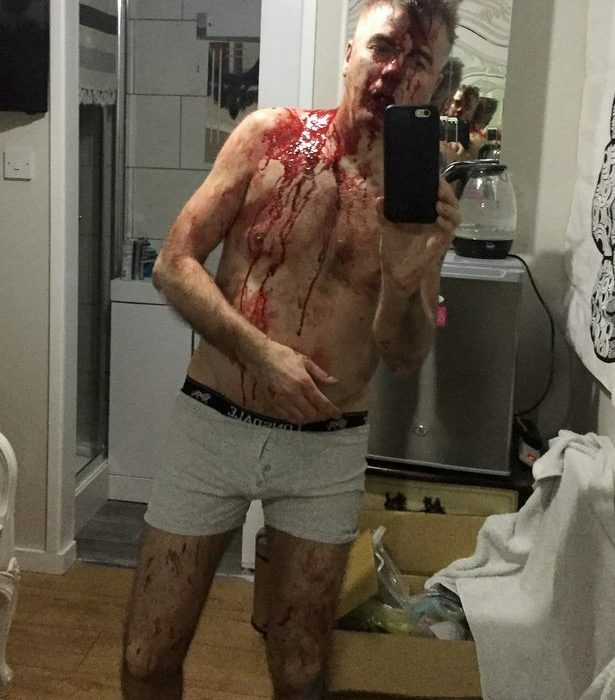 A dad of two single-handedly fought off five robbers armed with machetes after they broke into his home. 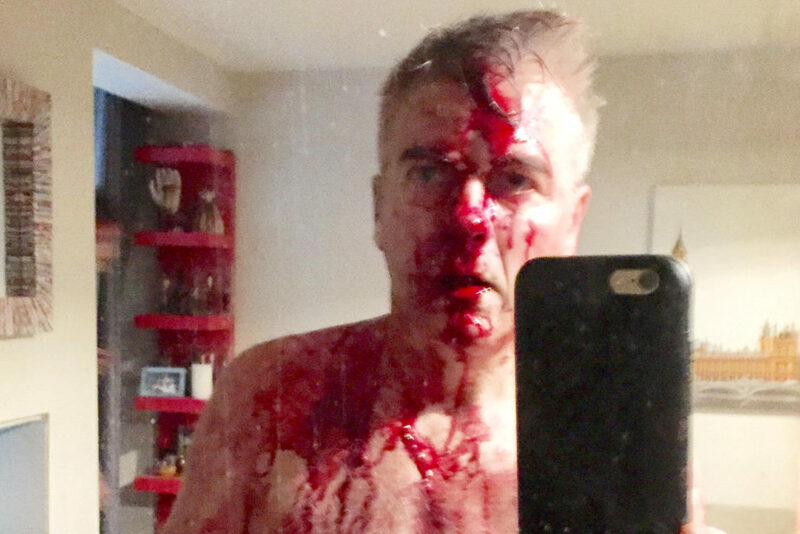 55-year-old sales manager David Pugh was asleep when the thugs stormed his house in Solihull, West Midlands, wielding machetes, baseball bats and golf clubs. 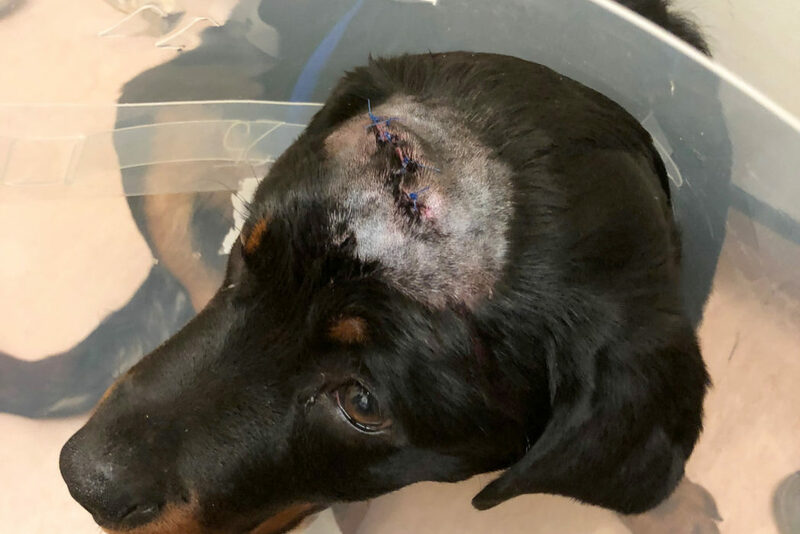 Demanding cash, the thieves started attacking David’s 17-year-old son and 20-week-old Rottweiler puppy Zeus. What the thugs did not know though was that David is a martial arts expert and so he quickly leapt into action using all the tricks he knew to fight off the masked men with his bare hands. It took 10 minutes for David to fend them off and the gang were sent packing empty-handed. 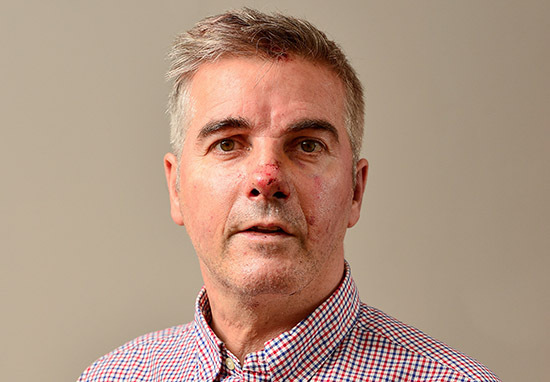 Incredibly David was only left with a few facial injuries and broken nose after his heroic antics. David found the balaclava-clad men standing at the top of his stairs at around 3am on Tuesday morning (February 13). Trained in Israeli self-defence combat Krav Maga, David said ‘instinct took over’ when he saw them attack his son and puppy. There was a loud bang at 3am when they smashed the patio doors to get in but I thought Zeus had knocked something over. By the time I got out of bed, totally naked, I was approaching the door and it was kicked in. I grabbed the first couple I could, it turned into a brawl and a battle. I just grabbed what I could and hit them with aftershave bottles and chairs. I was getting hit repeatedly on the head – they had machetes, a baseball bat and a golf club. I was desperately trying to get to my son’s room. but I had so many splits to my head, I was drenched in blood. We could only assume they saw that, realised we hadn’t got any money and thought, ‘we have gone too far’, and got out of here. They must have thought they half-killed me. In retrospect we were probably quite lucky. David, his son and their puppy have all been left traumatised by the events. We have a puppy and he got a blow to the head, he ended up running into the garden, he fell into the canal- he was hypothermic. They didn’t leave with anything which is the only silver lining. They kicked every door in, all the frames are gone, every cupboard they have gone through, and rummaged through everything they could quickly. His son was hit several times with the bat leaving him with a swollen knee and badly bruised arm. Although the night has been and gone, David says the experience is far from over. 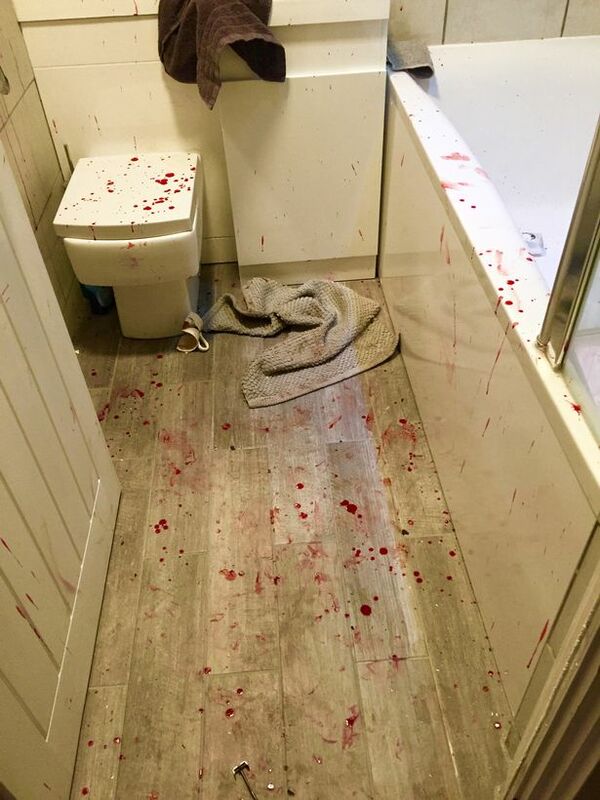 Police were alerted at 3.09am this to a break-in at an address in Lugtrout Lane, Catherine de Barnes, after a group of men had forced their way into the property and attacked the occupants. Officers arrived eight minutes after the 999 call. House to house enquiries have been carried out, CCTV is being examined and items recovered for forensic analysis. Investigations continue and anyone with information is asked to call West Midlands Police on 101 quoting log number 204 13/2. We wish David, his son and puppy Zeus all a speedy recovery.